Select your preferred service, ready to go Solar? 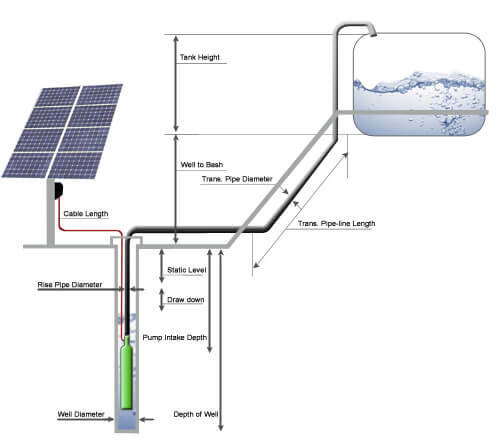 Solar Water pumps are one of the most practical applications of any solar energy system. 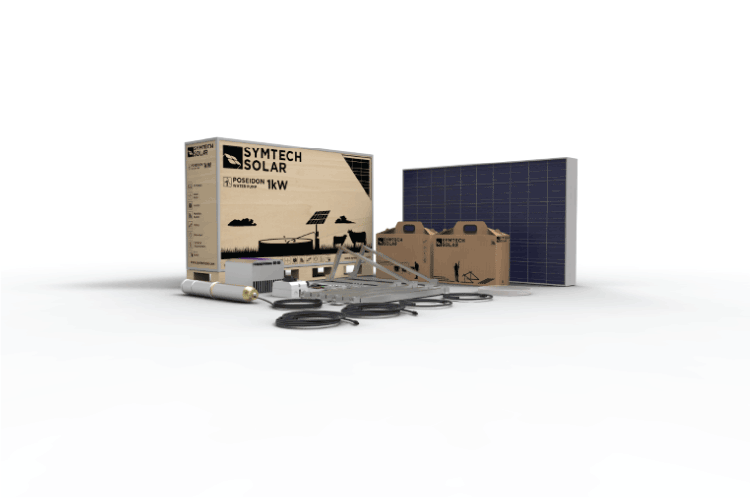 They are typically configured like an off-grid system without batteries thus requiring very little effort to maintain. 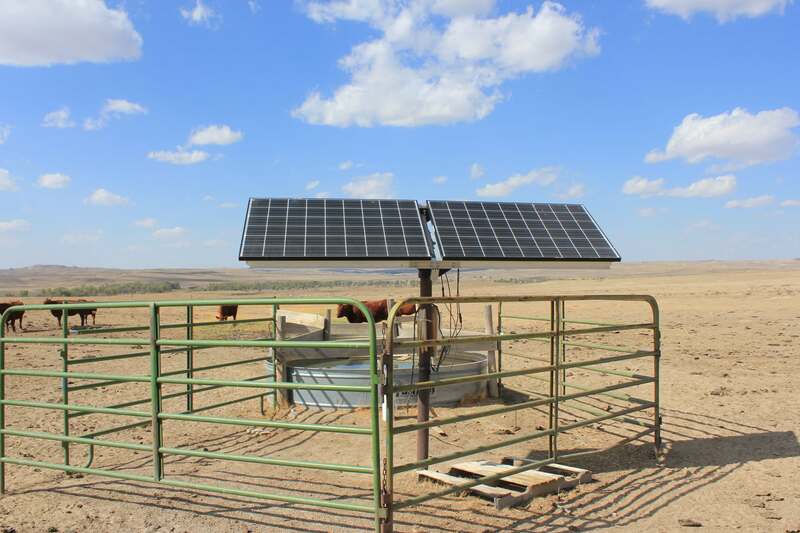 Solar Water Pumping Systems were typically installed in areas that would use diesel generators to power water pumps but nowadays they can be grid-tied and used as a way to save on power bills. As there are several methods for pumping water in remote areas, such as windmills, gas/diesel pumps, and ram pumps, most of these options are either too expensive to install or require constant fuel and maintenance for upkeep. Solar water pumps can be specifically designed to operate in remote and off-grid environments where they offer some of the most value. Their ability to provide a consistent (during daylight hours) water supply in areas that otherwise would have no water at all is one of their best attributes. 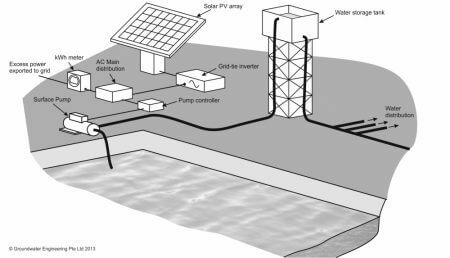 Depending on the water requirement the solar water pump could either supply direct demand during the daylight hours or utilize a water storage tank which allows for water availability at later times. The water tank acts as a storage battery and thus why it is often more economical to design a water pumping system with water storage rather than electrochemical storage. can lift up to 200 meters and sit underwater in a well casing and are used when the water supply is deeper than 5 or 6 meters from the surface. 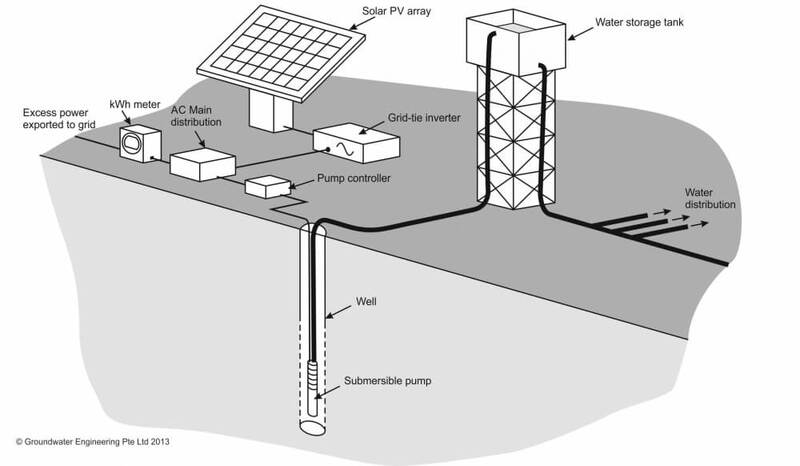 Submersible solar pumps can operate directly off solar panels, batteries, or an AC power source like a generator. Water is typically pumped during daylight hours and stored in a water tank for use whenever needed. These pumps often need longer pipes to connect the pump to the outlet point so it’s important to consider friction coefficients when designing long run piping. are good for applications with head under 5 meters such as shallow wells, ponds, streams or storage tanks. Surface pumps do have a limited amount of draw and thus why the anything deeper is converted to a submersible. While surface pumps generally can’t lift water very high from a deep source, they can then push water great distances and are easier to maintain due to their access being on the surface and not deep in the ground. The first step is to determine how much water you will need (water volume m3). If your needs vary during the season, be conservative and use the highest demand you expect otherwise you might be without water during the high demand periods. Next, determine the source. The water system’s configuration will be determined largely by the type of water source and its location. The source will either be below ground (well) or a surface source (pond, river, or spring). The best water quality and consistency usually come from wells but they’re typically expensive to drill, particularly where water tables are deep. Surface water sources may vary seasonally, often with low flow and quality during summer when higher volumes are usually needed. Seasonal variations in water level, etc. Water quality, including the presence of silt, organic debris, etc. Most solar water-pumping systems use some type of storage. As a general rule of thumb, you can size the tank to hold at least three days’ worth of water to balance variable sun conditions. With too much storage or too long, water quality issues such as algae growth may arise. To prevent algae growth, maximum storage of two days is recommended if the tank is in full sun; if the tank is shaded, a maximum of three days of storage is advised. Food-grade plastic tanks are most common, and often placed at a high point on the property for gravity-feed to the end user. Although these tanks are usually the most affordable option, sun exposure tends to promote algae growth in them. Much thought and investment are being given to how to resolve energy poverty and making agricultural processes easier to manage. 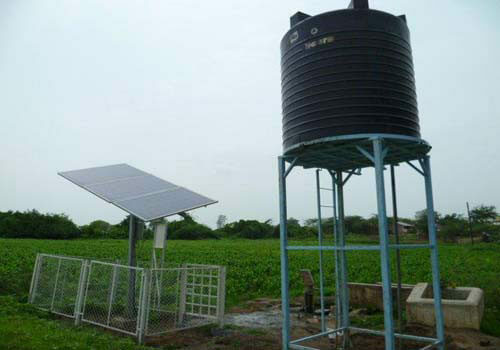 Indeed, it should be noted that studies have been conducted into the efficiency of solar powered pumps versus conventional pumps that have found them to be more than three times as efficient as their standard counterparts. If you are looking for this particular practical application of solar power, perhaps as a local government buyer or renewable power provider we would be happy to discuss the different options we have available. Our Poseidon water pump series are pre-designed and configured for easy site selection but if you also customize system sizes based on different site specifics. The best way to get more information is to contact one of our engineers to discuss the right solution. We are positioned in Shanghai China for supply chain management purposes and are freely able to do business with overseas ventures. If simple solutions and comprehensive planning sound like you, you can contact us here.